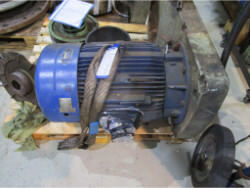 We performed an inspection and repair on a gearbox BAUER. 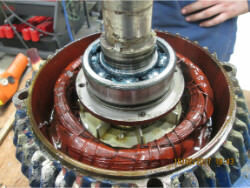 ����- Disassembling, cleaning and inspection of the gearbox. ����- Deploying of the inspection report. ����- Performing of the repair constructions. 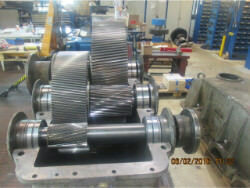 - Performing of an inspection of the gearbox. 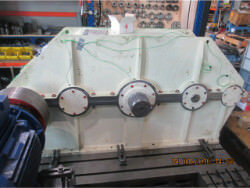 - Disassembling of the gearbox on location. 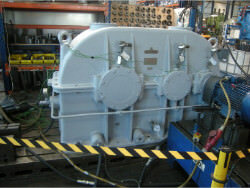 - Transporting of the gearbox to our workingshop. - Controlling of the toothing for bursts with the aid of magnafluxing. - Controlling of the tempered parts for bursts with the aid of magnafluxing. 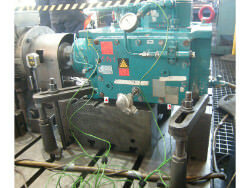 - Performing of a visual inspection of three Flender gearboxes on location. 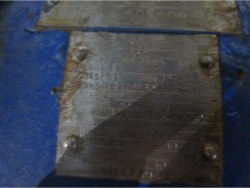 - Performing of the repair constructions on location. - Analyzing and deploying of the inspection report. 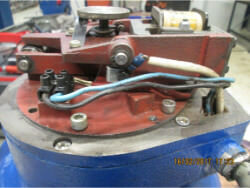 - Inspection of the Motor-reductor. - Making of a complete new casing. - Assembling and a test run of the gearbox. - Disassembling and cleaning of the gearbox on location.